Irene Dunne was the queen of melodrama, comedy and musicals, a leading lady adored by all and seen by female audiences as an 'every woman'. 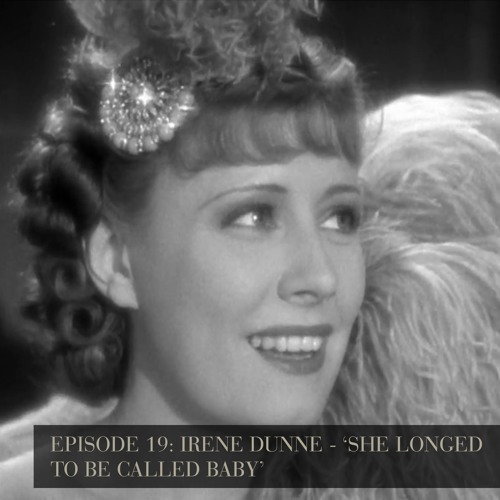 Many critics over the years have labelled Irene as either the 'female Cary Grant' or the refined lady who excelled in maternal roles. We at Any Ladle's Sweet beg to differ and offer a more nuanced view of this deeply funny lady who always longed to be called 'baby'. We discuss 3 of her finest roles: Ann Vickers (1933, Theodora Goes Wild (1936), and Unfinished Business (1941). Sources: Ann Vickers (1933). Dir. John Cromwell [DVD] RKO Pictures. Basinger, J. (2007) The Star Machine. New York: Vintage. Bawden, J. and Miller, R. (2016) Conversations with Classic Film Stars: Interviews from Hollywood’s Golden Era. Lexington: University Press of Kentucky. Bogdonovich, P. (1997) Who the Devil Made It: Conversations with Legendary Film Directors. New York: Ballantine. Carman, E. (2016) Independent Stardom: Freelance Women in the Hollywood Studio System. Austin: University of Texas Press. Douglas, M. (1986) See You at the Movies: The Autobiography of Melvyn Douglas. (with Tom Arthur) Lanham: University Press of America. Gehring, W.D. (2006) Irene Dunne: First Lady of Hollywood. Lanham: Scarecrow Press. McCourt: J. (1980) ‘Irene Dunne: The Awful Truth’ Film Comment 16.1 pp. 26-32. Theodora Goes Wild (1936) Dir. Richard Boleslawski [YouTube] Columbia Pictures. Unfinished Business (1941) Dir. Gregory La Cava [YouTube] Universal Studios.